It’s well known that 3D printing is revolutionizing industries like dentistry and aerospace, but 3D printing is also having a major impact in places not everyone might expect. An example of this is the impact of 3D printing on the shoe industry, an industry that ProtoFab is now closely involved with. 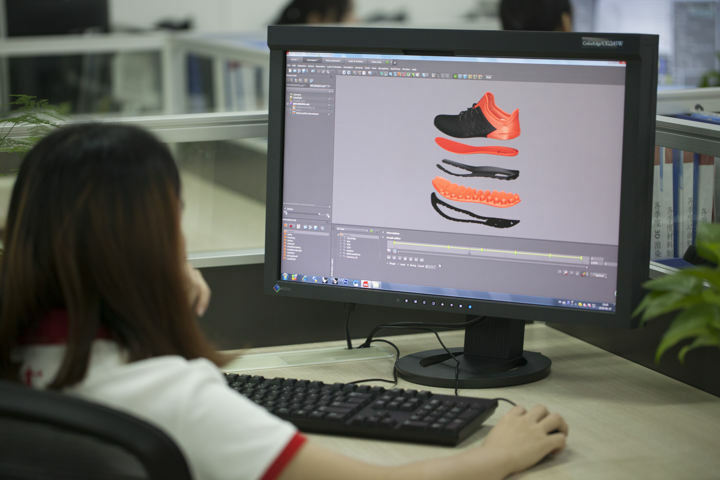 Let’s explore how one of China’s biggest footwear brands makes use of SLA 3D printing at the core of the design process. 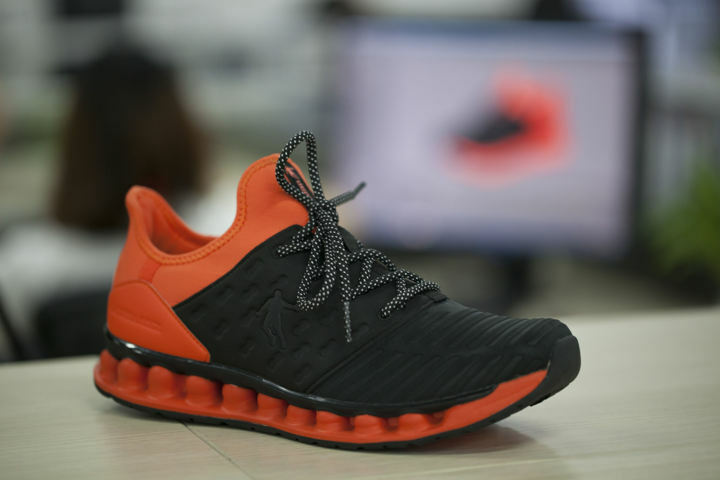 Qiaodan is one of China's most popular sports shoe brands with annual sales of over 4 billion yuan. We started working with them in 2016 and provided them with one of our SLA450 machines. Like all footwear brands, Qiaodan needs to constantly develop new products and designs to stay fresh in a highly competitive market. Time-to-market is critical in an industry where trends come and go, so making the design process as efficient as possible is a priority. This is where 3D printing comes in. 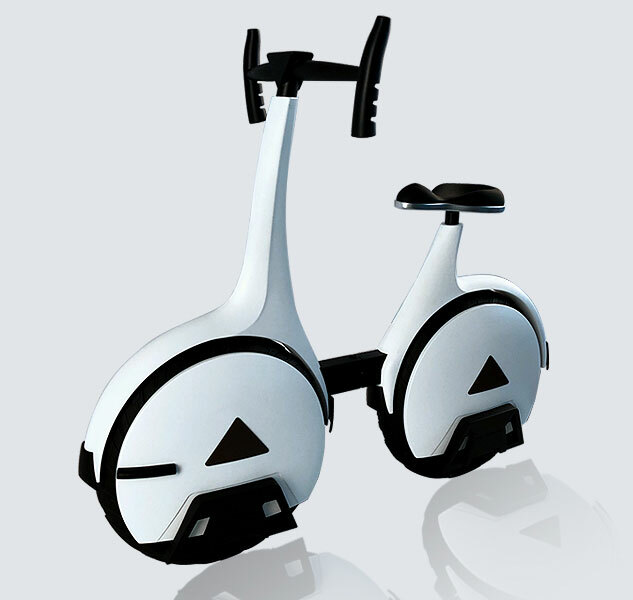 Traditionally, Qiaodan and their competitors used outsourced CNC epoxy models at the prototyping phase of a new product. 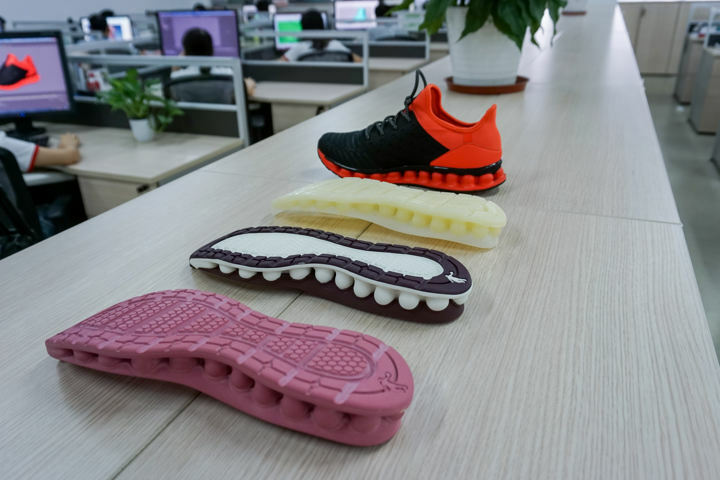 In the footwear industry it is necessary to produce physical models of the outsole (the rubbery bottom section of the shoe) before deciding whether or not to move forward with production. The old epoxy models were sufficiently detailed but had several drawbacks. First of all, producing such models took a long time, often more than 2 weeks from sending the design to the external contractor to actually receiving the physical model and being able to assess it. Of this time around a week was taken up by the actual machining, but the actual delivery time would usually be much longer due to limitations in the contractor’s capacity, communication issues, courier delays and some of the other vagaries associated with outsourcing. Qiaodan’s technicians report that they used to allow fully 15 days for this process, and 8 days would be the best-case scenario. 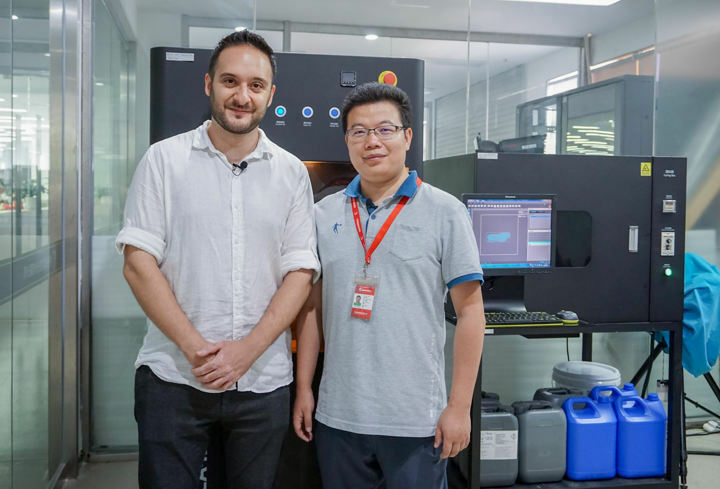 In comparison, their 3D printer can now produce the same model in around 20 hours, and the whole process, including 3D modeling and post-processing, takes a maximum of 2 or 3 days. 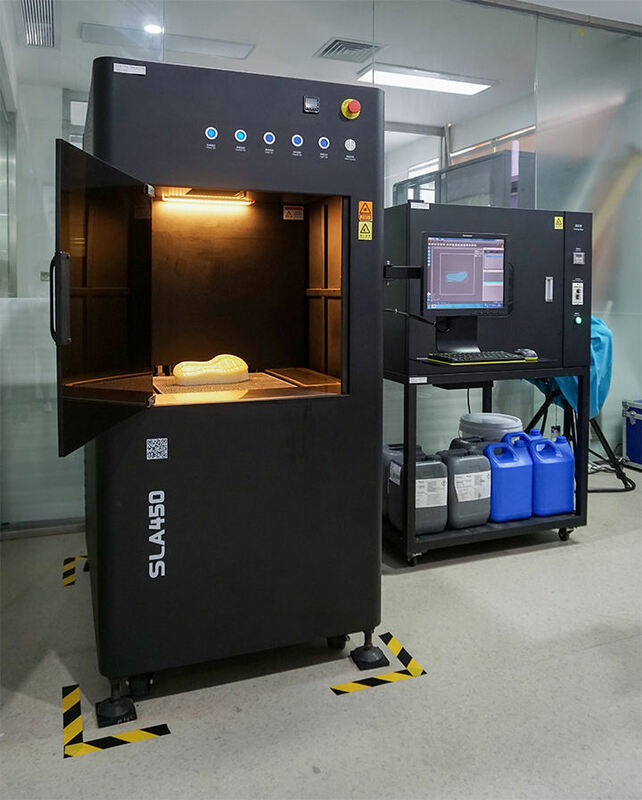 Qiaodan regularly print 6 models at a time in their SLA450, further speeding up the process. It's hard to overstate how important this level of time saving is to a manufacturer like Qiaodan. Having to wait for weeks to see a prototype design is bad enough, but if revisions are required then even more time is wasted. Even in the best-case scenario it would take more than a week before the revised design could be in the hands of the design team. The negative impact of this is two-fold. Firstly, product development could easily drag out much longer than originally predicted, and if multiple revisions were required a whole month could disappear with only minimal progress. This could lead to the new product missing key dates, such as a summer shoe hitting the shelves too late in the season. Secondly, it’s much harder to justify taking a risk on a bold design when there are consequences to having to revise it. This has the influence of pushing the designers towards conservative designs, particularly when there are time constraints. When models can be produced quickly the design team is much more willing to experiment and this has a positive effect on the creativity of the brand as a whole. SLA printing has a very significant advantage in the design process. 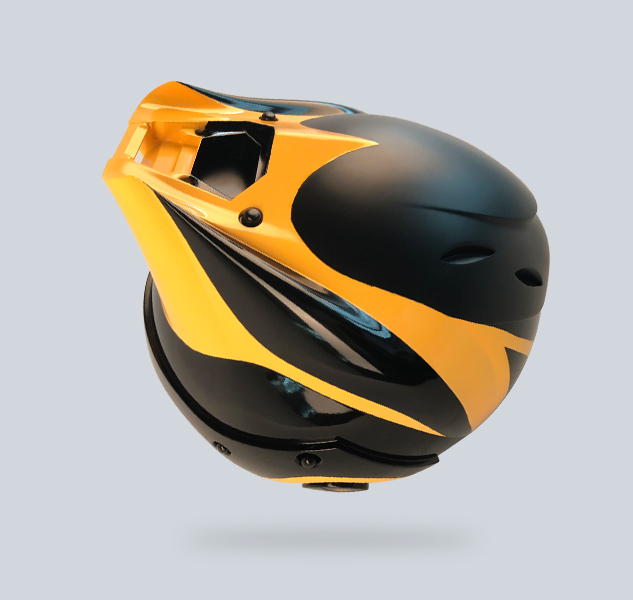 No matter how complicated the structure design is and regardless of the curve and hollow structure and the texture of the design, the software can complete the modeling directly and upload the modelling file onto the printing equipment for fast prototyping. Another crucial advantage of 3D printing for Qiaodan is that they can keep the entire design process in-house. CNC equipment is bulky, expensive and requires specialist operators, so it does not make sense to make such a massive investment to produce only a small volume of prototypes. The only option is to outsource this step to a prototyping specialist, which introduces a number of issues. First of all, having to physically mail the model from the prototyping company to Qiaodan slows down an already slow process. There is also the issue of industrial secrets and the potential for unreleased designs to be leaked to competitors or to the public. Keeping the whole process under one roof also means Qiaodan have absolute control over quality. Outside suppliers don’t always live up to expectations and communication issues are difficult to avoid. With a 3D printer installed at the factory, the same people producing the model are the same people who designed it, simplifying the process and reducing the potential for errors. As for quality and accuracy, the Qiaodan technicians report very little difference between the two methods. The look and feel of the SLA printed models is very similar to their traditional epoxy models, and the level of detail is also similar. 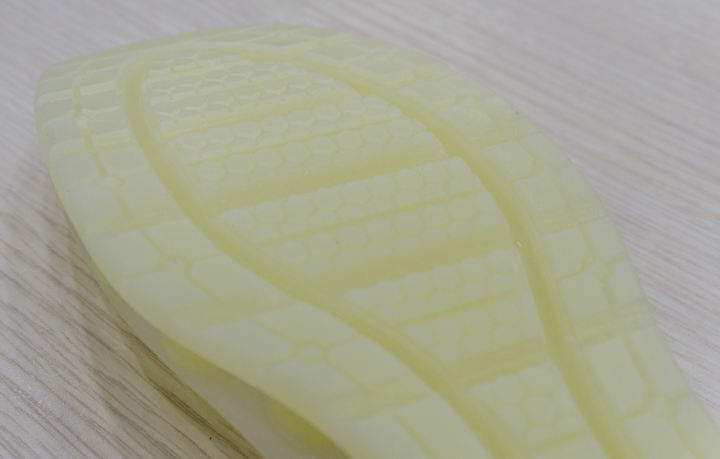 Although CNC machining theoretically allows for a wider range of materials, this is not relevant to outsole prototypes. 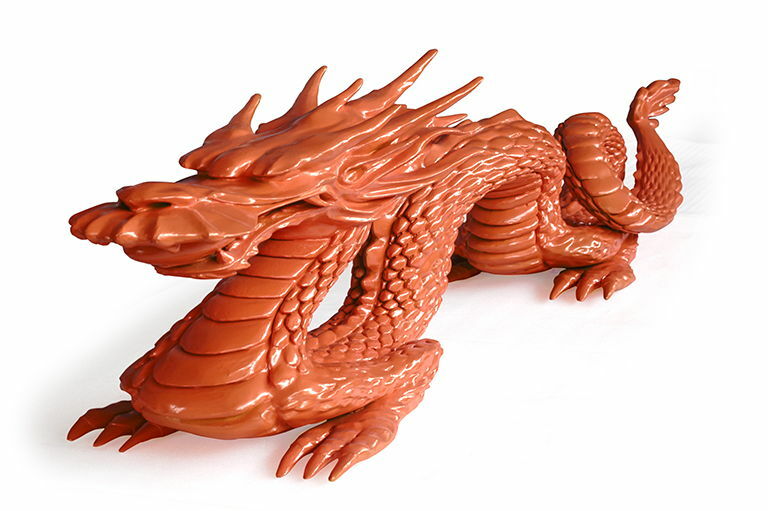 The photosensitive resin used in SLA has all the properties that the design team requires. The only thing that might put off other companies in a similar situation would be the initial outlay in purchasing an industrial SLA printer. Although this is a significant one-off expense, in the long-run there’s no question that it has been worth it for Qiaodan. For a start, the cost per part is significantly lower for 3D printing compared to external CNC machining. Although SLA resin is not inexpensive, not having to pay external contractors represents a major saving. For Qiaodan, printing in-house works out being around 40% cheaper per part. The main saving though is in efficiency. In business time is money, and needlessly wasting weeks during the design phase of a product inevitably has a serious effect on the bottom line. 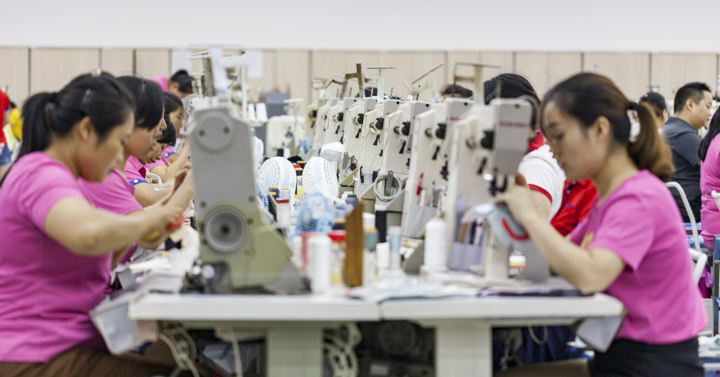 Time-to-market is important for most manufacturers, but in industries affected by fashions and trends it can make or break a new product. 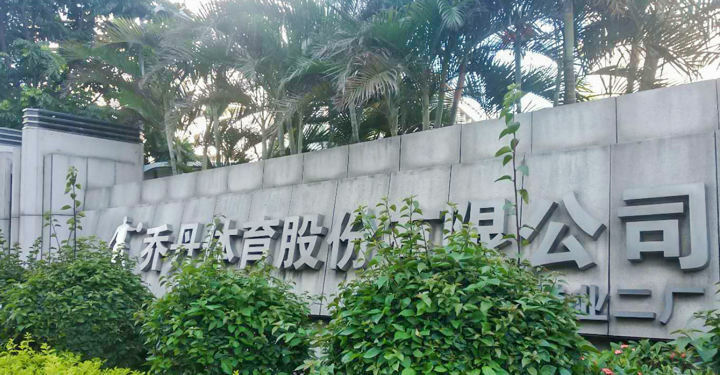 For those working in product development at Qiaodan, going back to the old way of doing things is simply unthinkable. ．Prototype production cut from 8-15 days to just 2-3 days. ．Product development much more agile. ．Length of development cycle much more predictable. ．No reduction in quality compared to CNC. If you are interested in finding out more about our 3D printing and prototyping services we'd love to hear from you.